Formations of satellites require challenging autonomous reaction capabilities in order to coordinate attitude and orbit control for joint activities in Earth observation and telecommunication applications. For pico-satellites at a mass of a few kg modern miniaturization technologies enable surprising performance and support realization of robust, cost-efficient small satel­lites. In particular growing capabilities in attitude and orbit control allow to realize sensor networks of detectors composed of pico-satellites. In combination with sensor data fusion, innovative application approaches to Earth observation and communications are enabled. The University Würzburg’s Experimental satellite (UWE) program developed the crucial technologies for formation flying at minimum mass. UWE-1 was launched 2005 as first German pico-satellite (at 1 kg). Meanwhile all crucial technologies related to communication, to attitude determination and control were demonstrated in orbit. Robustness was achieved by an advanced fault detection, isolation and recovery (FDIR) software. The application potential is illustrated by mission QUBE for secure communication using quantum technologies and optical links, as well as the pico-satellite formation flying missions “NetSat” composed of four satellites and “TOM – Telematics earth Observation Mission”, being in implementation stage at the research company ZfT. 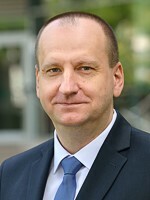 Prof. Dr. Schilling had in space industry responsibility in Earth observation and interplanetary satellites (such as HUYGENS to the Saturnian moon Titan and ROSETTA for exploration of comets, where adaptive control technologies were applied to handle uncertainties), before he was appointed professor and chair for Robotics and Telematics at University Würzburg. In parallel he is president of the research company „Center for Telematics (ZfT)“. His team built the first German pico-satellite UWE-1, launched 2005 to optimize Internet in space. He published more than 350 papers and received several awards, including the Walter-Reis-Award for Robotic Innovations 2008 (in mobile robotics) and 2012 (for medical robotics), as well as an ERC Advanced Grant for research on control of networked distributed satellite systems. He is full member of the International Academy of Astronautics and was Consulting Professor at Stanford University 2002-2006. In IFAC (International Federation on Automatic Control) he serves as Coordinating Chair for the area COMPUTERS & CONTROL, after having been TC chair for TELEMATICS: Control via Communication Networks and for AEROSPACE. The launch of Autonomous Vehicles (AV) is driving a paradigm shift in several industries (automotive, vessels, drones, …). Still today, there is a need to surpass several barriers: technology development, software development, security threats, infrastructure deployment, liability aspects, customer acceptance and regulatory frameworks (including data protection). Satellite positioning (GNSS) is already playing a role in AV and is complementary with integrated sensor data and connectivity-based information that will help to reduce costs. However, with the advent and rapid spread of connectivity in AV, cyber security has become a major concern. There is an increasing need to deliver a secure GNSS module that can provide an efficient, resilient and low-cost defence against jamming or spoofing attacks. Europe's GNSS programmes bring multiple benefits to the positioning of AV. Powerful GNSS signals and advanced techniques using Galileo and EGNOS will bring to the industry a highly accurate absolute positioning solution, functioning seamlessly in challenging environments where other sensors may fail to provide the expected accuracy, availability, integrity and robustness of the positioning. Dr. Manuel Lopez Martínez is Technology Officer in the European GNSS Agency (GSA), where he is supporting and fostering the adoption of Galileo and EGNOS in maritime, inland waterways and search and rescue applications. He received his PhD in System Engineering and Automation from the University of Seville in 2005. He got a permanent position as Associate Professor at the University of Seville in 2008, where he was teaching until he joined the Market Development Department at GSA in 2013. This paper describes AUV (autonomous underwater vehicles) development for long cruising and high maneuverability, and multi-rotor flight robots for a marine network system developed by the author. The first to be presented is the deep and long-distance cruising AUV Urashima powered by a fuel cell with the following specifications: 300 km cruising distance; 3500 m depth diving autonomously in the ocean; and it is used for seabed surveys in earthquake areas and for research on global warming. The second is the next generation AUV designed for higher maneuverability and longer distance cruising than Urashima. Thirdly, biomaneuvering robotic fish which are fish-like swimming robots used for various purposes in scientific research. Fourth, aviation robots for supporting AUVs and observation of marine structures. Finally, a marine system network based on AUVs is described with the additional use of multi-rotor flight robotics. Keywords: AUV, long distance cruising, high maneuverability, marine network, aviation robot. Ikuo Yamamoto is a Professor of Nagasaki University, Japan (Graduate School of Engineering, Medical Science, and Organization for Marine Science & Technology) and has developed many world-class practical examples of robotics and mechatronics during his 30 years of experience as an engineer and a professor. His experience comprises of working with Mitsubishi Heavy Industries Ltd., JAMSTEC, and as a Professor at Kyushu, Kitakyushu, and Nagasaki University. He was leader of AUV “Urashima”, which established the world record for autonomous cruising; developed “Kaiko & Seabot”, which was crowned champion remotely operated vehicle at 10000m depth cruising and at the World convention 2012, 2014, 2016 and his robotic fish ‘swam’ in the International Space Station in 2009. He firstly successfully flied multi-rotor flight robotics with real-time monitoring and environmental sensor systems in Japan, 2008. He received international awards for the development of medical robotics in 2014 and 2015. He is nominated as GlobalScot, Scotland Government, UK in 2017. Most of the robotics and mechatronics developed continue to be used safely in real-world environments. Poland has much to do to take advantage of the fast-growing data and space-based services market, even if some of its research units are already able to catch up on a few specific areas with leading European partners and actively participate in the global technology race. The work presents the most important findings regarding the state of research and exploitation of outer space in Poland, based on analytical reports published annually by the Polish Space Agency (POLSA). The applied methodology was based on the European Space Agency (ESA) technology tree, providing a three-tier classification system for all technical skills related to space, including technology domains, subdomains and groups. The analyzed data concerned top-level publications records for all Polish research institutions, reports from projects financed by the National Science Center and the National Center for Research and Development, data on Polish participants' success in ESA tenders, as well as on Polish partners participating in international consortia implementing projects financed in the EU Horizon 2020 Space program. 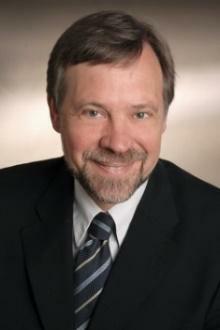 Prof. Bogdan Wiszniewski got his MSc degree in 1977 (with honors), as well as PhD in 1984 and DSc in 1998 in the field of computer science, all from the Gdańsk University of Technology (TUG). In 2006 he was awarded the title of professor by the President of Poland. For several years he lectured at universities in Canada and the USA. He participated in many R&D projects with significant industrial content as the main researcher or coordinator. He is the author or co-author of almost 200 publications in magazines, conferences and monographic publications. Awarded twice by the Polish Minister of Higher Education and Science for scientific merits. His research focuses on software testing and quality assurance, with particular emphasis on distributed systems, and more recently on advanced human-computer interaction, in particular with open multi-agent systems and eCollaboration, including document-centric virtual collaboration and automated negotiations. In 2016, he joined the Polish Space Agency as the Director of Research and Innovation, where he is responsible for initiating, developing and implementing projects related to space, important for the Polish national interest and the economy. Articulated vehicles are the popular means of freight and public transportation. Current trends and development forecasts indicate an increase in their use in the near future, mainly for economic and environmental reasons. Modular High Capacity Vehicles or articulated urban buses are examples of modern transportation solutions that require agile maneuvering in cluttered spaces. Since maneuvering with articulated vehicles, as an inherently nonlinear process, is non-intuitive and burdening for drivers, it seems reasonable to equip such vehicles with systems which provide (semi) autonomous maneuvering capabilities. The aim of the lecture is to provide a unified methodology for designing motion control systems that could be used in the intelligent articulated vehicles to efficiently perform various types of agile maneuvers using a driver-assistance system or in an autonomous mode. In this context, we discuss the key properties of the so-called N-trailer kinematics, and next we address the correspondence between practical motion problems characteristic of articulated vehicles and their formulations in the language of control engineering. Finally, a modular and highly scalable cascade-like control system is presented that allows solving various motion control tasks in a unified way for vehicles of different kinematic structures and any number of segments. Solutions to selected control problems are illustrated by numerical and experimental results. Prof. Maciej Marcin Michałek received the M.Sc. Eng., Ph.D. (with honors), and D.Sc. (Habilitation) degrees in the field of automation and robotics from the Poznan University of Technology (PUT), Poznań, Poland, in years 2001, 2006, and 2015, respectively. He is an Assistant Professor with the Institute of Automation and Robotics, Faculty of Computing, PUT. He developed the VFO (Vector-Field-Orientation) control design methodology for a class of nonholonomic systems. His current research interests include nonlinear control design and control applications for dynamical systems, in particular, for nonholonomic mobile robots, intelligent vehicles, and N-trailer vehicles. Dr. Michałek has been a member of the IEEE organization since 2009 (senior member since 2016); he is a member of the IEEE Robotics and Automation Society, and the IEEE Control Systems Society. Since 2011 he serves as an editorial board member of the Journal of Intelligent and Robotic Systems. Since the year 2016 he is a member of the Scientific Committee for the National Robotics Conference, and since 2017 he belongs to the IEEE Conference Editorial Board for the IEEE Control Systems Society. The agricultural production sector is a key economic area both in Israel and in Poland. Currently, the world faces the fourth industrial revolution called INDUSTRY 4.0. The idea of INDUSTRY 4.0 is to raise productivity to a higher level, not through more intensive exploitation of resources, but through more efficient resource management and introduction of artificial intelligence elements to cooperate with a human operator of industrial processes. The lecture presents the main progress of the project, which is a response to the latest trends aimed at introducing the INDUSTRY 4.0 idea into agriculture. The main goal of the project is to develop an INDUSTRY-4.0 oriented, cyber-physical system of distributed monitoring and control in agricultural production. The efficiency and functional parameters of the developed system will in practice be verified in cooperation with the company "Deshen Ha'zafon", which is an operator of a large-scale network of tanks for liquid fertilizers for various collective communities in Israel. On the Polish side, the verification will be carried out in cooperation with the company "BioAlt sp.z.o.o." and also with the agricultural company "AMP Hobda". 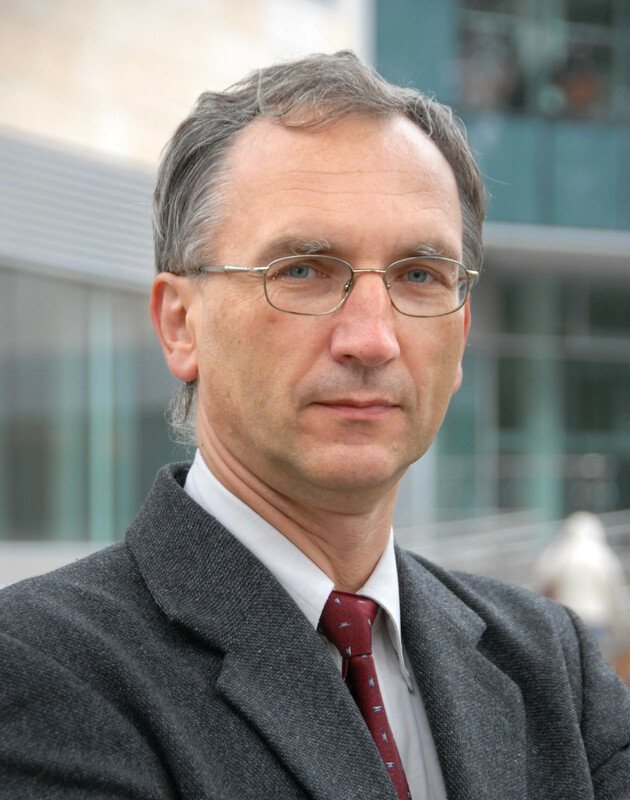 Prof. Roman Szewczyk received both his PhD and DSc degrees in the field of mechatronics. He is an associate professor and secretary for Scientific Affairs at the Industrial Institute of Automation and Measurements. Roman Szewczyk specializes in modeling mechatronic systems as well as sensors and sensor interfaces, in particular sensors in security applications. He participated in the implementation of over 10 EU-founded research projects under FP6 and FP7. In addition, he conducted two technology foresight projects on a regional and national scale and actively organized technology transfer between companies and research institutes. 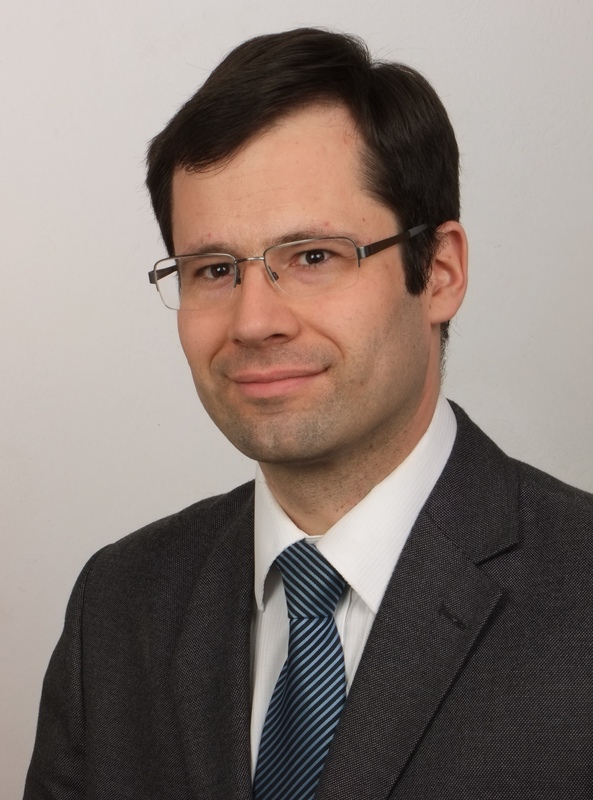 Recently, he runs a bilateral Polish-Israeli R&D (research and development) project devoted to machine learning and IoT in intelligent farming, and participates in the work of the Ministry of Digital Affairs regarding digital data for the Polish industry. 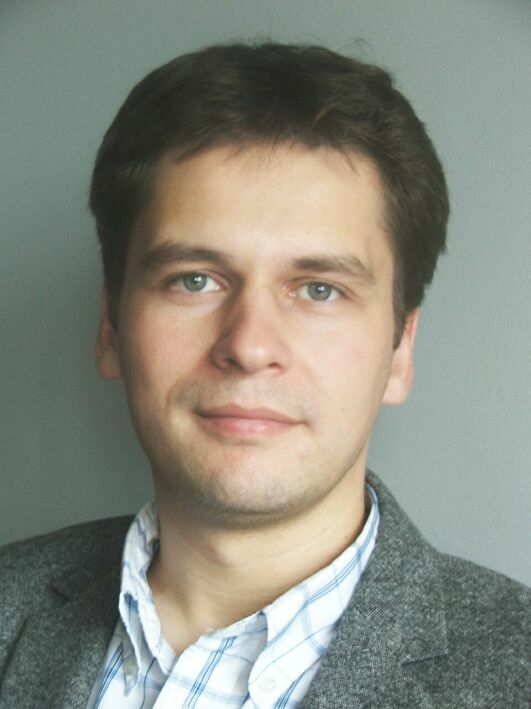 Roman Szewczyk is a member of POLSPAR and International Frequency Sensors Organization. • What are the navigation (positioning) requirements for an object (such as a man, a car, a ship, an airplane) to be able to move it independently within the surrounding reality? • What navigation functions (accuracy, availability, reliability, continuity, alarm time, etc.) should the positioning system have in order to ensure the safety of such an autonomous vehicle? Prof. Jacek Stefanski received M.Sc., Ph.D. and D.Sc. degrees in telecommunications engineering from the Gdansk University of Technology (GUT), Poland, in 1993, 2000 and 2012 respectively. From 1993 to 2000 he worked as an assistant professor in the Department of Radio Communication Systems and Networks (DRCSN) in GUT. Since 2001 he has been working as an associate professor in the DRCSN. He has been serving as a deputy head of the DRCSN and as a vice-dean for the organization of studies at the Faculty of Electronics, Telecommunications and Informatics in GUT – since 2006 and 2016 respectively. His research and development interests include analysis, simulation, design and measurement of radio systems, techniques of digital modulation, channel coding, signal spreading, radio signal reception, software radio design, location services, ad-hoc sensor networks and radio navigation systems. He is the author and co-author of more than 250 papers. He is the co-author of 8 patents and over a dozen patent applications. He is, inter alia, a member of Sub-Committee on Navigation, Communications and Search and Rescue in the International Maritime Organization. ...more could be announced later.